Even one hundred and fifty years later, we are haunted by the Civil War-by its division, its bloodshed, and perhaps, above all, by its origins. Today, many believe that the war was fought over slavery. This answer satisfies our contemporary sense of justice, but as Gary W. Gallagher shows in this brilliant revisionist history, it is an anachronistic judgment. 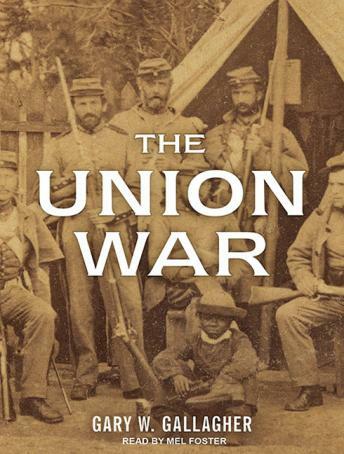 In a searing analysis of the Civil War North as revealed in contemporary letters, diaries, and documents, Gallagher demonstrates that what motivated the North to go to war and persist in an increasingly bloody effort was primarily preservation of the Union. Devotion to the Union bonded nineteenth-century Americans in the North and West against a slaveholding aristocracy in the South and a Europe that seemed destined for oligarchy. Northerners believed they were fighting to save the republic, and with it the world's best hope for democracy. Once we understand the centrality of union, we can in turn appreciate the force that made Northern victory possible: the citizen-soldier. Gallagher reveals how the massive volunteer army of the North fought to confirm American exceptionalism by salvaging the Union. Contemporary concerns have distorted the reality of nineteenth-century Americans, who embraced emancipation primarily to punish secessionists and remove slavery as a future threat to union-goals that emerged in the process of war. As Gallagher recovers why and how the Civil War was fought, we gain a more honest understanding of why and how it was won. The author seems to have the entirely laudable intent to excoriate those politically correct modern scholars who ignore what the Civil War era people actually said, did, and wrote in favor of their ideologically pure academic enthusiasms, particularly that of anachronistically judging the mid-nineteenth century actions by twenty-first century norms and standards. He sort of succeeds, but the book seems more like a bunch of parts than a whole. I suspect the author may be too much of a gentleman to give his targets the thoroughgoing reaming they deserve. Wonderful treatment of the accomplishments of the Union army, and in particular its role in emancipation.